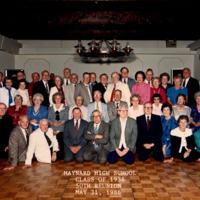 A color photo of the Class of 1948 at its 50th Reunion dated October 24, 1998. 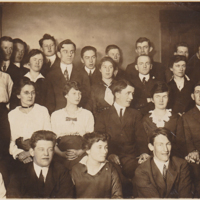 Graduate class of Jean Stein Brady. 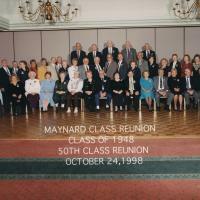 Three photos documenting reunions of the Maynard High School Class of 1944. 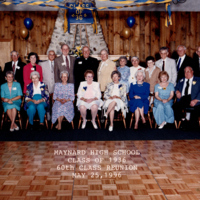 The photos celebrate the 15th, the 45th, and the 50th year milestones. 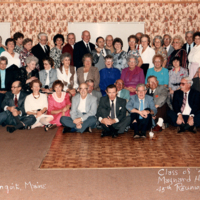 The 50th reunion was held in Ogunquit, Maine. 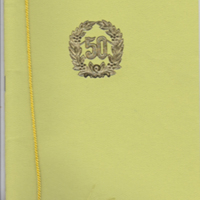 The booklet contains names, addresses and general information about the members of the class. 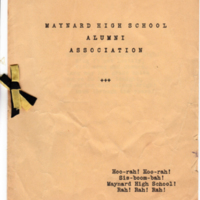 The booklet contains names, addresses and other information about the Class of 1938. 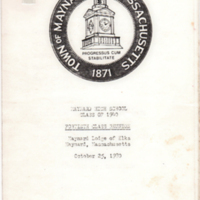 The booklet contains names, addresses and other miscellaneous information about the Class of 1938. 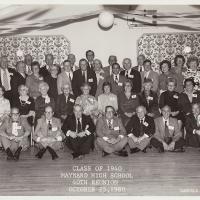 A color photo of the 50th Reunion of the Class of 1936. 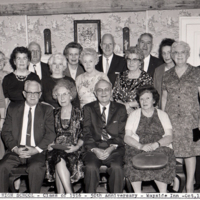 Aaro Hyden third from left, front row. 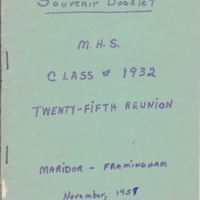 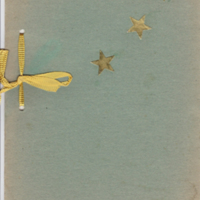 The booklet contains names and addresses of members of the Class of 1932. 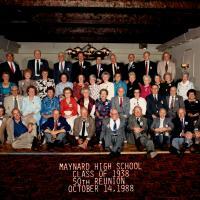 Held at the Wayside Inn, Sudbury, on October 12 (Sept.24?) 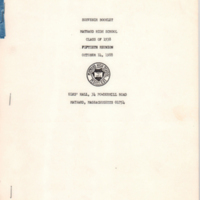 ,1966.